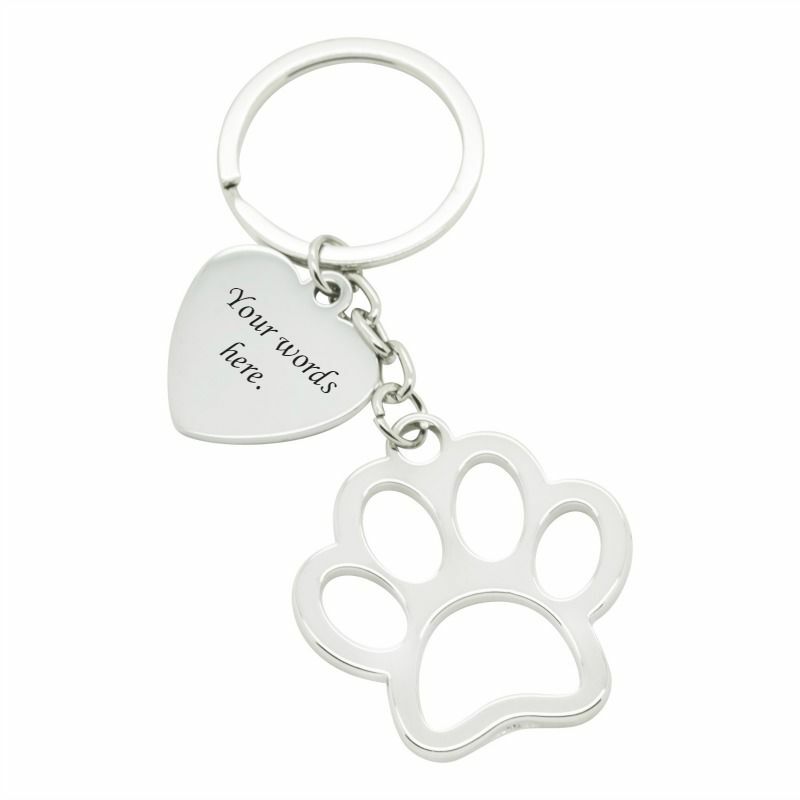 A personalised memorial keyring with personalised engraving on the heart which hangs alongside the large paw. 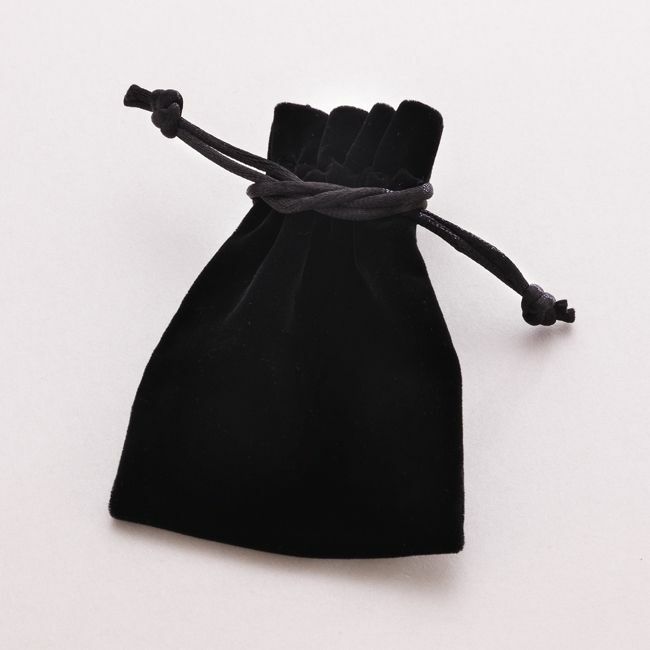 We can engrave your choice of words to make a lovely sympathy gift or memorial gift to offer love and comfort to someone who is grieving the loss of a much loved pet or as a memory keepsake for yourself. 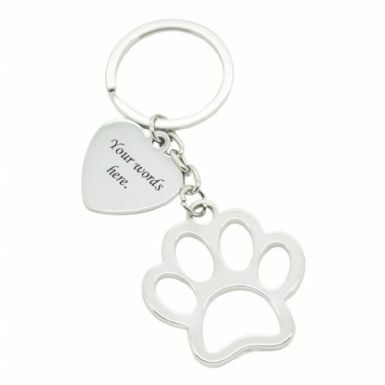 Part of our range of engraved remembrance gifts for loss of dog, cat or other pets. 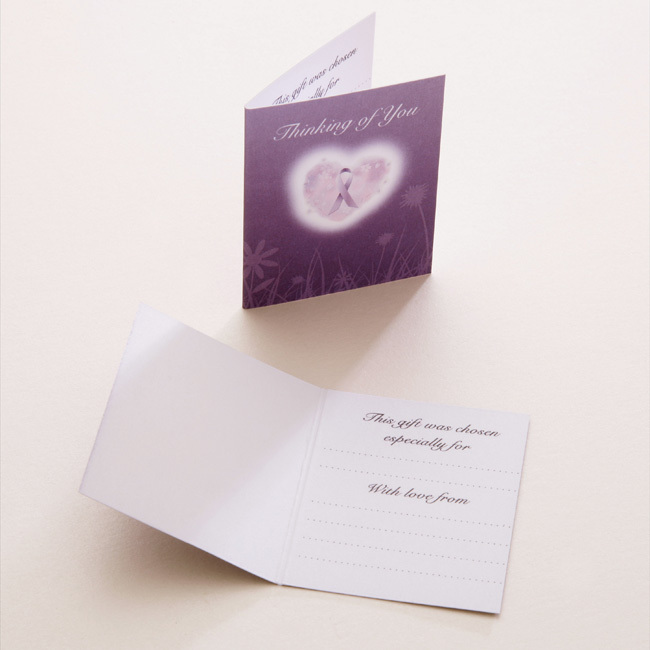 Up to 30 characters per side can be engraved on the heart tag.